If you follow me on Instagram, you may know that I’ve been traveling thru Iceland and Greenland for the past few weeks! One of the unfortunate things about being a full time photographer is when you are on vacation, you don’t really want to shoot. It just feels like work. At any rate….this time I tried to actually use that ten lb dumbbell called a camera. These images were shot with a Canon 5D Mark III, the 24-70mm L II, and the iPhone 6. 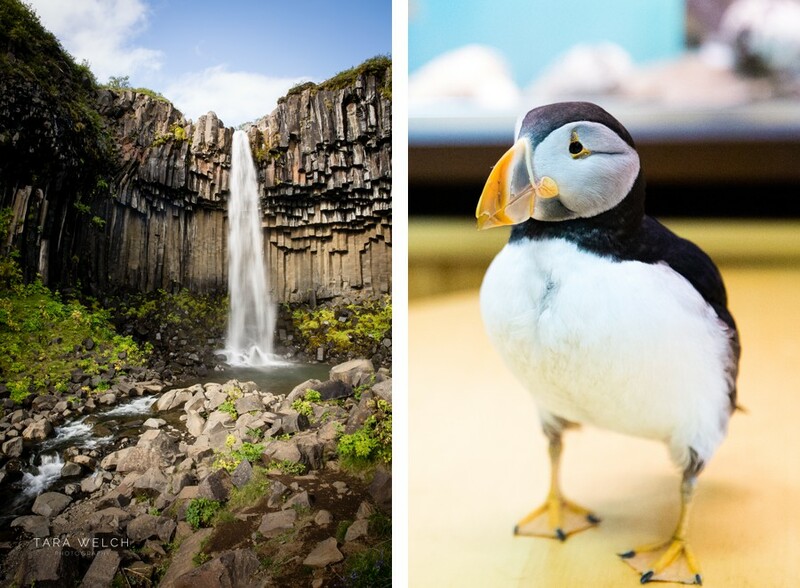 I’ve wanted to go to Iceland for a while due to my love of puffins and scenic geothermal baths! It wasn’t cheap but we were able to buy our tickets on miles! I highly recommend this United credit card and this Delta one! One of the weirdest things was how short of a flight it was due to the earth’s poles. We started our trip like many tourists at The Blue Lagoon. It’s close to the airport and a nice first stop. My better half, Kevin, didn’t dig it too much but I loved it! We then hauled ourselves onto the ferry to Heimaey Island which is a lovely breeding ground for puffins! 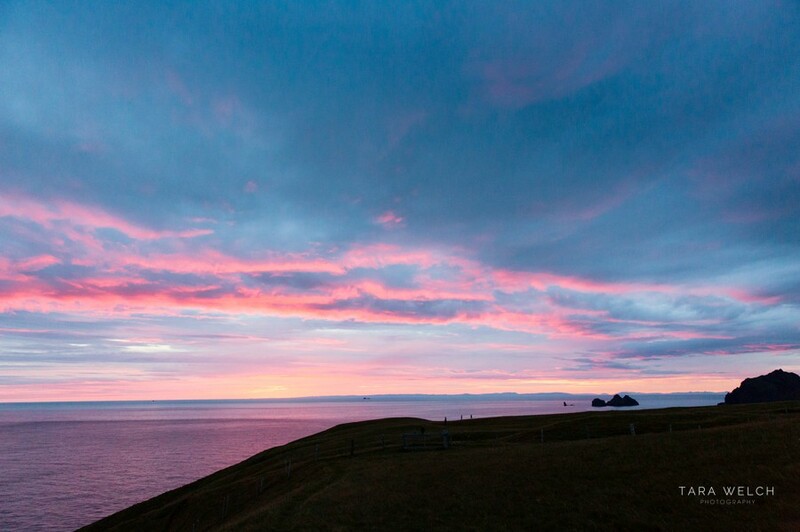 The Heimaey Island volcano erupted in the 70s and made the island about 25% bigger. Crazy eh? Some wonderful person (no doubt a national treasure) put this rad 70’s couch out a viewing location. Super fun! After that, we cruised the Iceland Ring Road going up the Eastern shore first. Do you like Game of Thrones? Whatever, of course you do! Don’t let this photo fool you….this place was crawling with tourists. We went to Iceland’s Glacier Lagoon which was super magical! We stayed at this super cool place called the Aurora Bubble Hotel! I love how Kev looks like he’s resting in a snow globe! 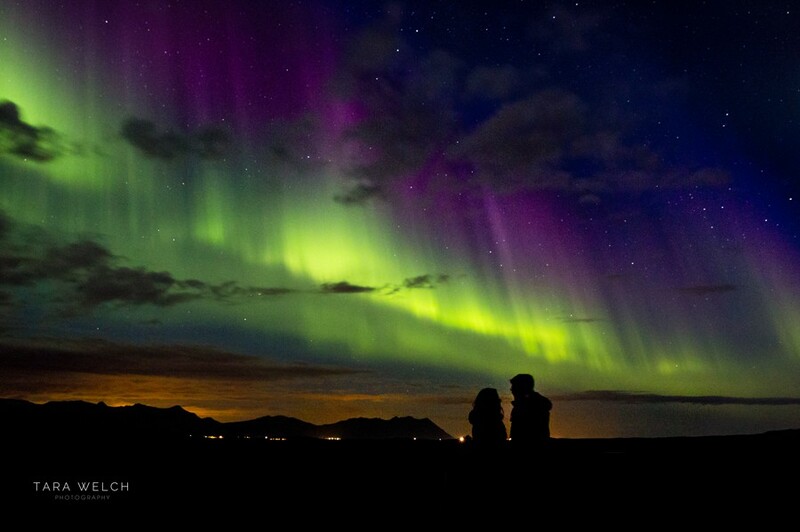 Definitely the highlight of our trip was seeing the Northern Lights (or Aurora Borealis). It was super early in the season to see it but due to Kevin’s nerdy obsession with looking at NOAA’s space weather forecast…we found them (it?)! We were staying at a little homestay spot when Kev noticed the space forecast was going crazy! Hopped in the car and headed south for clearer skies. After an hour of driving, we finally found a place with no clouds! I can’t really describe what it was like to see her (we started referring to the Aurora as a “her”). She comes on slow so you can’t really tell if that’s what you are looking at…then it’s like watching the sky dance. We tried to do a few self portraits with mixed results. Next time I’m bringing a real tripod! One of my favorite days was when we went to the Hveragerdi Hot Spring River Trail! It’s a pretty solid hike but at the top you end up at a hot geothermal river! Just strip down and get in! Our Texan blood was a little bummed you couldn’t toob it however. I love these emo Iceland ponies! “I totally just need to be focusing on my art right now”. This is Landmannalaugar or as I call it, the silly sand mountains. I feel like this would be the ultimate log roll mountain. We saved Reykjavik for last and thought it was a great city! Hot dogs are a big deal in Iceland! We tried the infamous Bæjarins Beztu Pylsur stand! Lots of truth telling on signs outside of the bars! Hah!